Stock photo showing the cliffs of Caribou Island's coastline as seen from the air above Lake Superior, Ontario, Canada. 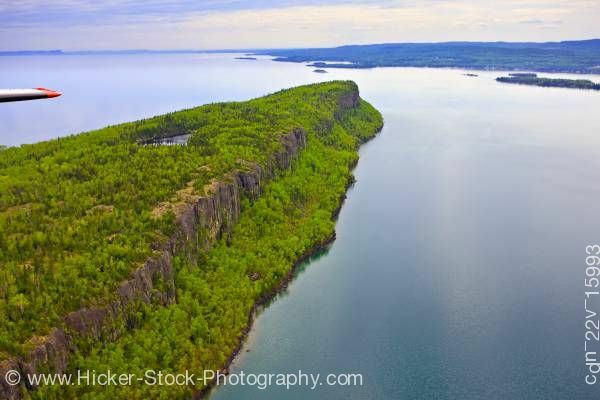 This stock photo includes an aerial view of the cliffs along the coastline of Caribou Island, Lake Superior, Ontario, Canada. This view from above shows the outline of one end of Caribou Island with its long line of tall rugged cliffs against the calm deep blue waters of Lake Superior.